It was in the summer of 1995, that Elder Ephraim transferred 6 monks from the Pilotheou Monastery in the holy mountain of Mt. 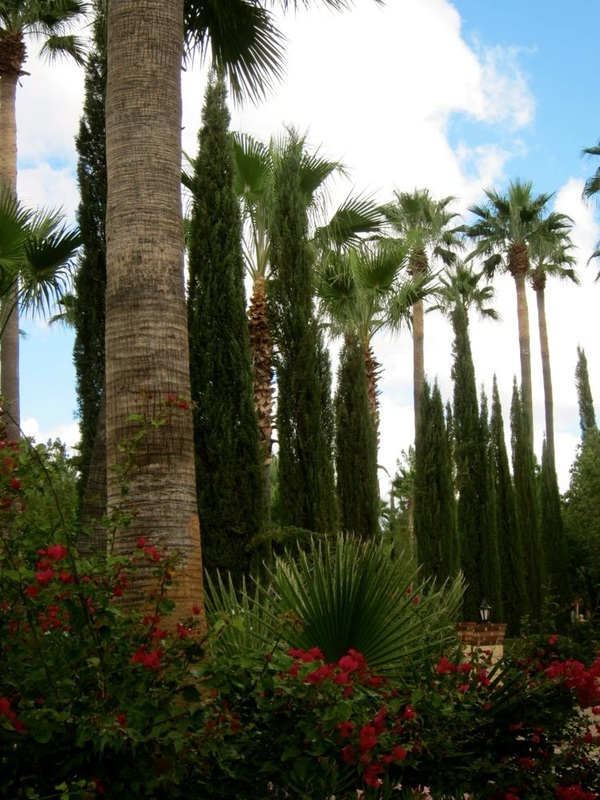 Athos to start a monastery in the Sonoran desert of Arizona. 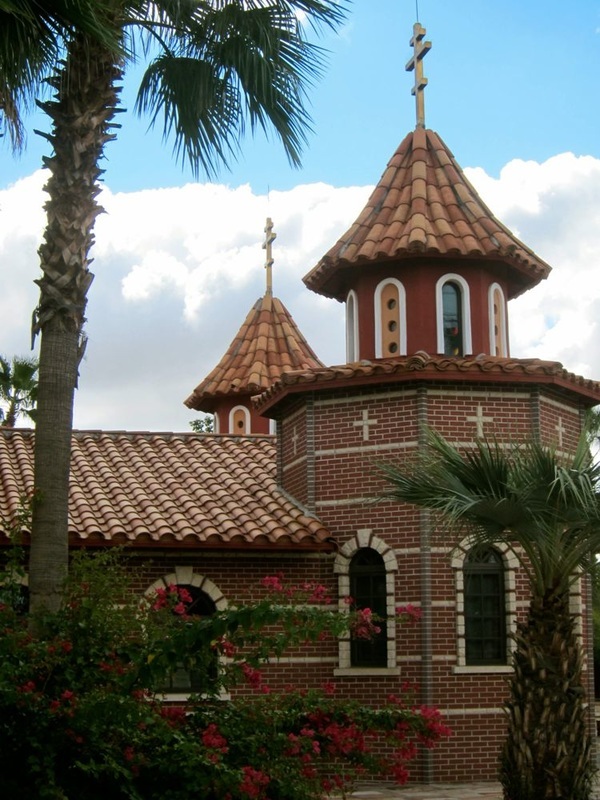 They named the monastery after the father of monasticism, St. Anthony the Great (ca. 251-356). Today, there are several chapels you can visit in the property and the walk around the grounds floods you with silence and solemnity. The monks in St. Anthony's follow the cenobitic rule of monastic life. Their daily schedule of prayer and work starts an hour or two before midnight for personal prayer and spiritual reading. 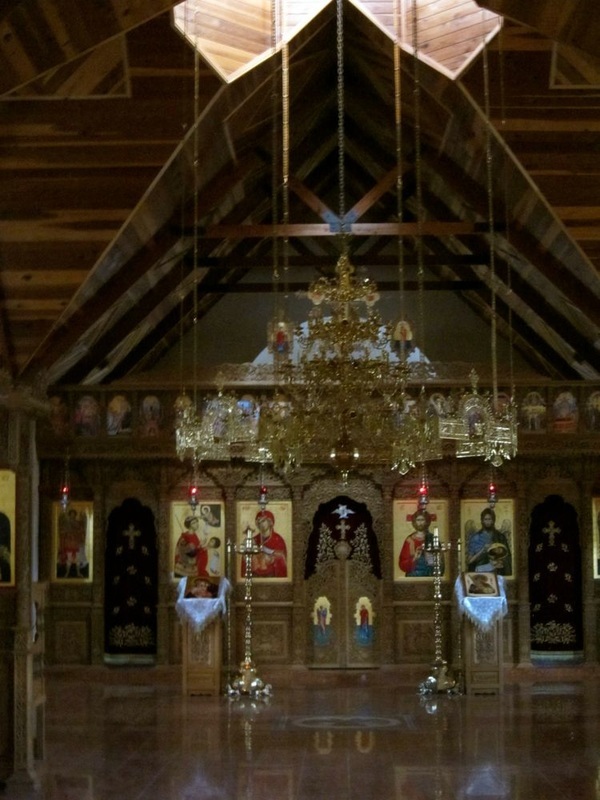 This is followed by the Divine Liturgy and talks for the day which include tending to the grounds, gardens, orchards, vineyards, publishing, woodworking, construction, food preparation and hospitality. The day is capped with Vespers, dinner and Compline. Follow I-10 East towards Tucson. Take exit 185 for Coolidge/Florence. Pass Coolidge on your right and continue towards Florence on Route 287. At Florence, bear right and take Route 79 South towards Tucson. 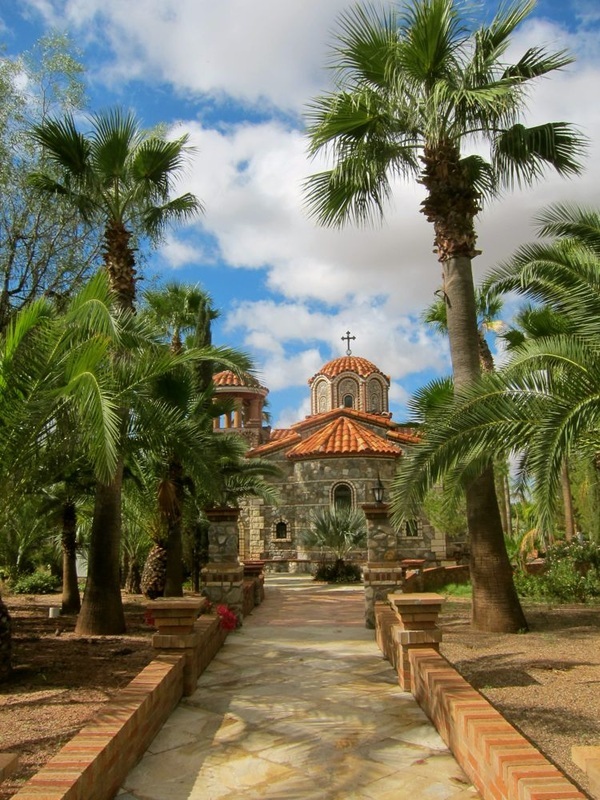 After mile marker 124, turn left on Paisano Drive and follow the road until you reach the Monastery. Take Route 77 North to Oracle Junction. Turn left on Route 79 towards Florence. after the mile marker 123, turn right on Paisano Drive and follow it all the way to the Monastery. Visitors must stop at the bookstore upon entering the monastery. Pictures may be taken of the buildings, grounds and church interiors but not of the monks and guests.